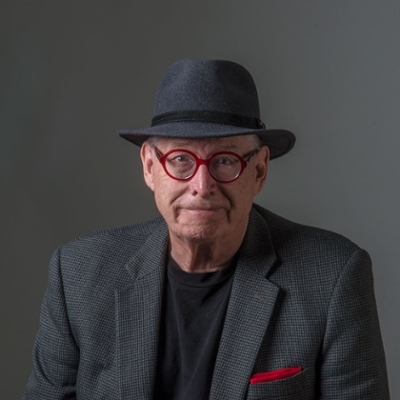 Dan Younger is a Professor of Art, founder of the studio area and former chair of the Department of Art & Art History at the University of Missouri in St. Louis. He has been teaching art in university settings since 1978. He has over 150 national and international exhibits, and his works are in numerous public collections including Museum de Stadt, in Gladbeck Germany, The Fox Talbot Museum and the National Trust, Lacock, England, The Museum of Contemporary Photography (Chicago), APRIA: (Association de recherche et production d’images en anthropologie et art), the Harry Ransom Center at UT- Austin, The Saint Louis Art Museum, and Diaphne – Pole Photographique, of Montreuil, France. Younger’s photographs have also been used in the sets of NBC’s “The Biggest Loser”, on ABC’s “Meet the Newlyweds” on Fox’s “ I Married a Stranger” and on VH1’s “Scot Baio is 45 - And Still Single” among others. Tony Marsh, Emmy winning director of “Newlyweds” wrote that Younger’s photographs are “bold and evocative. They do not merely document, but beckon you to wander around in the sublime space between first impression and fond memory”. Younger teaches 4 seminar classes in photography: Advance Problems in Photography 1 & 2 and Senior Seminar in Photography 1& 2. He also teaches The History of Photography for Art History and Comics and Cartoon Illustration, a studio class. The comic books produced by the cartoon class (six in all) have been collected by two national cartoon museums, one in the US at the Billy Ireland Cartoon Library and Museum in Columbus, Ohio, and the Cartoon Museum in London, England. He recently offered a class in 19th century English Photography in the UK, touring UMSL students to various sites of historical significance in England. Dan is a member of the Royal Photographic Society (UK), The Association for research of images of anthropology and art (France), and the Society for Photographic Education (US).